Established in 2008 to handle AABDC’s business in China, New York in China Center facilitates business, investment, technology and cultural exchanges between New York and China with the aim of promoting inward investment into New York State and assisting New York businesses enter the China market. With offices in New York and Shanghai, NYICC is positioned to support business development and investment opportunities in these areas and beyond. 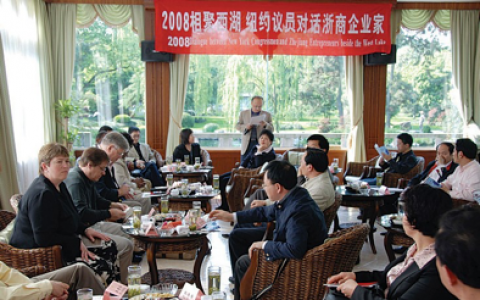 Through the longstanding relationships with New York City and state business agencies, companies and legislators, New York in China Center has, since 2003 led delegations into China. The focal points of these trade missions are seminars on “Investing in New York”, making introductions to Chinese municipal government agencies, local businesses, and investors. Today the trade missions are ongoing annually and are coordinated on the ground by NYICC. 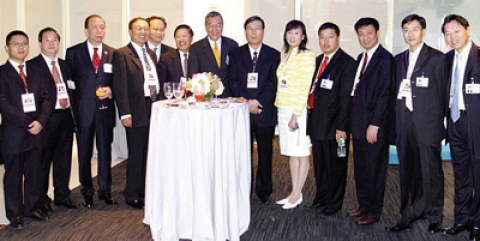 Through several mutual agreements of cooperation, NYICC continues to be instrumental in promoting government to government relations between New York and Chinese municipalities and provinces by coordinating and facilitating Friendship agreements and Memorandums of Understanding agreements. NYICC plans, coordinates and carries out official Chinese trade delegations and business groups’ visits to New York. Through these visits NYICC has made useful connections between US and Chinese business groups and investors leading to countless successful partnerships resulting in cross-border exchange, investments, and tourism. Exchange and training programs have been developed to assistU.S. and China retail companies and trade organizations to better understand mutual management and retail operations and create platforms for co-operation.